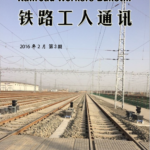 Part Four in a series of translations from the independent workers’ newsletter Railroad Workers Bulletin (铁路工人通讯). 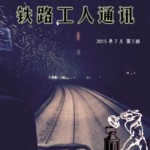 For background see the “Prologue” to issue #1, “Tales of Rights Defense” and “Farewell, Director!” Below is a translation of an anonymous piece called “The Rights-Defense Experience of Outsourced Train Attendants on the Guiyang Passenger Line” (贵阳客运段“被派遣”列车员的维权经历) from issue #1 (June 2015). The original is available here. It all started with the reform of the SOE (State-Owned Enterprise) employment system in the 1980s. Beginning in November 1986, the State Council issued four versions of the “Provisional Regulations on Hiring Workers in SOEs,” in April 1988 formalizing this into a law that permitted SOEs autonomy in hiring and firing employees. 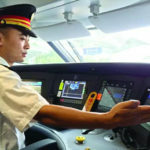 In early 1995, the Chengdu Railway Bureau issued a five-year “Certificate of Employment as a Railway Employee” to all employees of the Tourism Group. It referred to them as “temporary contract workers,” with a different payment arrangement than “permanent employees”: they did not have position-based salaries (岗位工资), and their bonuses were half that of permanent employees. Employees protesting at the entrance to the Guiyang Passenger Line. 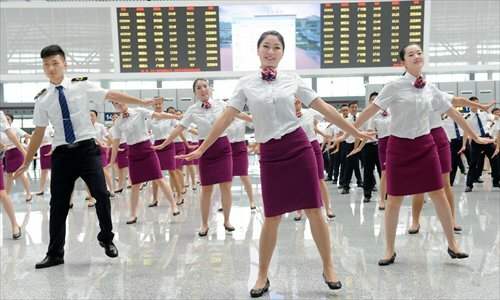 In 2002, the employees signed one-year contracts, and in August they merged with the Guiyang Passenger Line. The next year, after the contracts expired, they were neither terminated nor renewed. According to the law at the time, this was “regarded as a renewal of the labor contract.” The employees had worked for the Tourism Group for 11 years, so they met the requirements for permanent labor contracts. But when the employees proposed this, the Line started playing games with them. 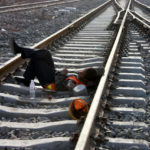 In order to appease them, in October 2003 it issued a Railway Employee Work Permit to each of them, with an expiry date of 2005, explaining that the permit was “equivalent to renewing the labor contract.” The employees took them at their word. In November 2004, the Line secretly signed a “Labor Employment Dispatch Agreement” with a labor dispatch agency [i.e. temp agency] that had been established for only 5 months. Those to be “dispatched” were those 530-some employees, who were taken in groups to training rooms for “renewing their labor contracts,” but actually they were signing contracts with the labor dispatch agency. 28 of these employees saw through this conspiracy, refused to sign, and were illegally dismissed by the Line. 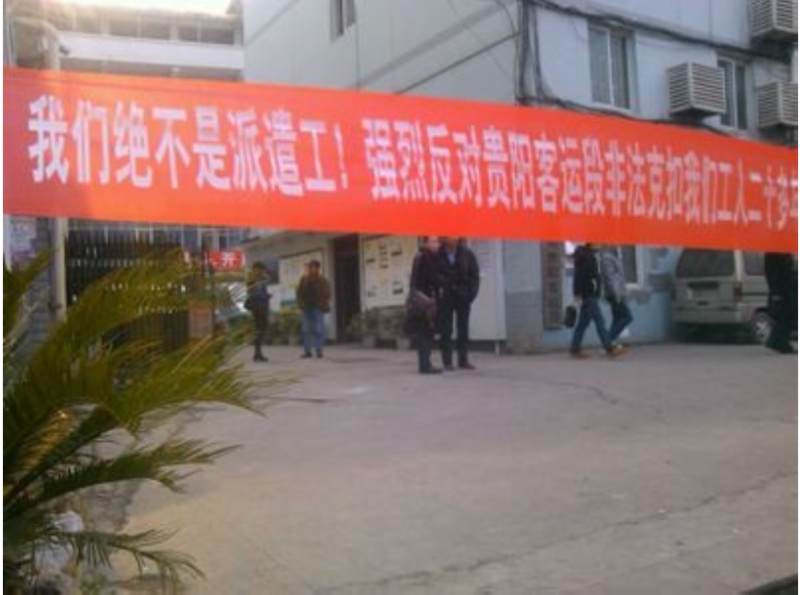 In late December, the remaining 500-some employees were forced to sign the contracts, thus becoming the first batch of “employees” for this labor dispatch agency. The Line sent people to lock them up, not letting them out if they didn’t sign. The people sent to maintain order numbered more than the employees. Protesting female employees being beaten. 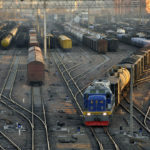 After that, they set forth on the long road of rights-defense, filing claims with their union, the Line’s Communist Party branch, the provincial federation of labor unions, [and various other state agencies up to the central level of] the Department of Human Resources and Social Insurance of the Railways Ministry in Beijing. 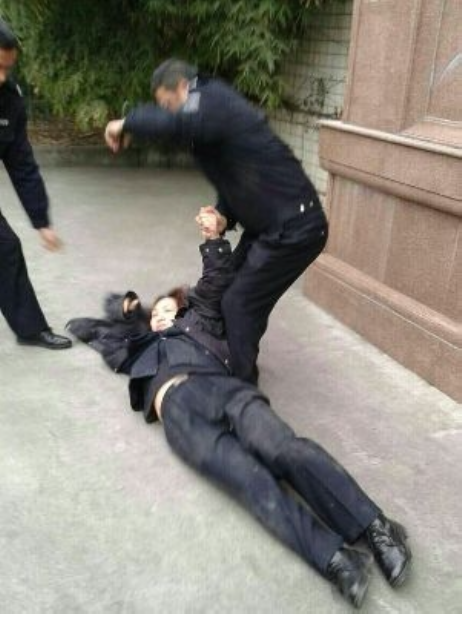 (4) Pay 10,000 yuan per employee in compensation for psychological damages. The Municipal Labor Dispute Arbitration Committee failed to take action. 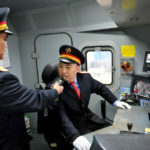 After receiving the application, they nominally arbitrated a hearing, and after messing around for half a year, they finally came to a verdict that stretched the law—of course ruling in favor of the Guiyang Passenger Line. On April 12, the employees appealed to the district-level court. Let’s wish them luck! with a comment in 8 points, translation on demand.